I think you should really try these two! These two products are definitely better than Pantene’s or Garnier’s hair products. I’m sure you’ll like them! Whaaat, this brand is still around? I think they’re gone from here – I’ll have to check the drugstore to verify. I equate it with the 90’s. 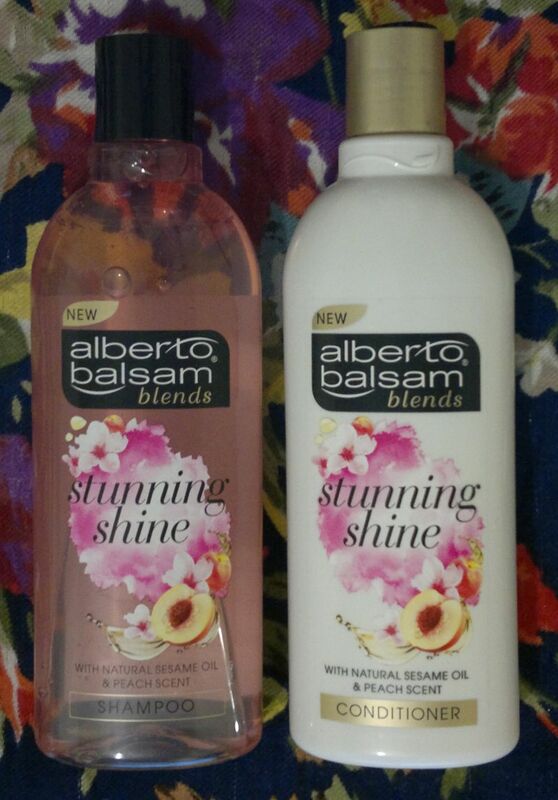 I think Alberto Balsam’s products are really good. The mandarin & papaya shampoo and conditioner are almost as good as the Herbal Essences Classics products. And these peachy products are really nice as well. Based on my experience with hair care I’d say… my least favourite Alberto Balsam shampoo & conditioner combo is better than my favourite Pantene or Garnier shampoo and conditioner combo.